during a Science & Sound demonstration. 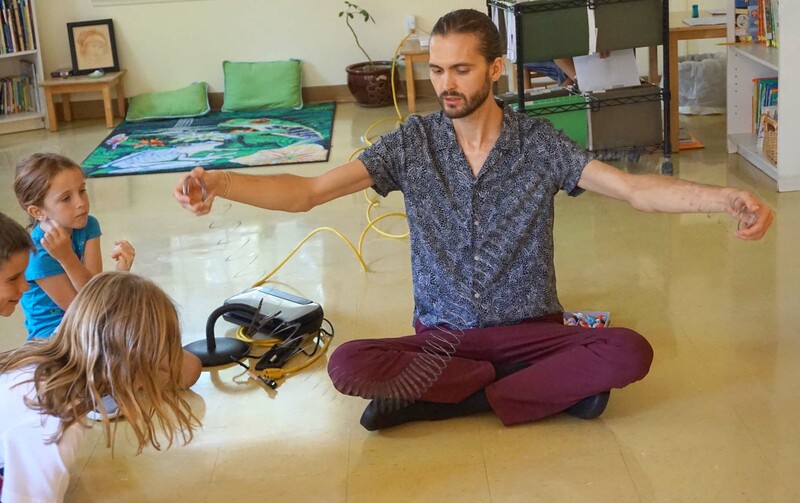 Just like a sound wave expanding outward from its source, Jeremy Nix hopes to expand the young minds at Montessori Tides School with his new Science & Sound program, which is part of his new business, The Celestial Kingdoms of Sound. To do this, he is asking for the school community’s help in donating iPads to the school or money to put toward iPad purchases. 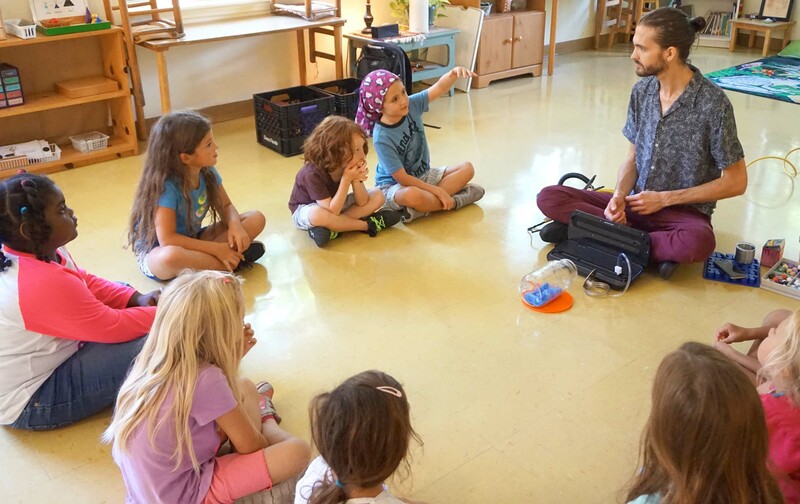 Mr. Jeremy has captured the attention of the Elementary students each Tuesday since school began by introducing them to basic ideas about sound and how sounds travel. 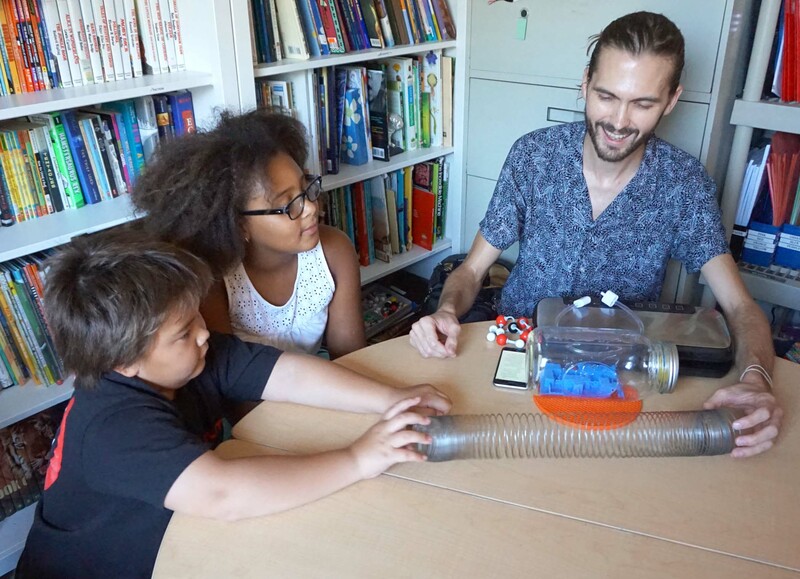 On a recent Tuesday, Mr. Jeremy demonstrated how sound moves through air using his cellphone, a glass jar with a lid and a food vacuum sealer. After putting a song on repeat on his cellphone, he placed it in the glass jar on some silicone to absorb vibrations. Everyone could hear the song. He then attached the vacuum sealer to the jar through a hole in the lid. After running the machine twice, the volume of the song was noticeably lower. They could still hear the music, though, since the vacuum sealer was not strong enough to evacuate all of the air from the jar. 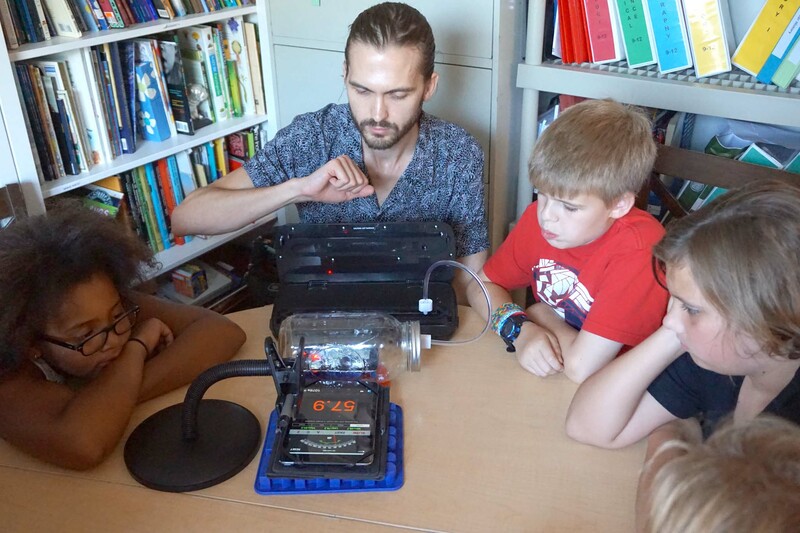 Had the vacuum sealer been strong enough to evacuate all of the jar’s air, they would not have been able to hear the song at all, Mr. Jeremy told the students. Mr. Jeremy and an Upper Elementary student demonstrate a longitudinal wave using a Slinky during Science & Sound. In the Upper Elementary classroom, the students also watched a sound meter app running on Mr. Jeremy’s iPad to track the sound levels of the song during the demonstration. As part of the lesson, Mr. Jeremy talked about the differences between electromagnetic waves and mechanical waves, and the chemical makeup of air. He used a Slinky to demonstrate the differences between transverse and longitudinal waves. He even had molecular models of nitrogen, oxygen and carbon dioxide to show the students. 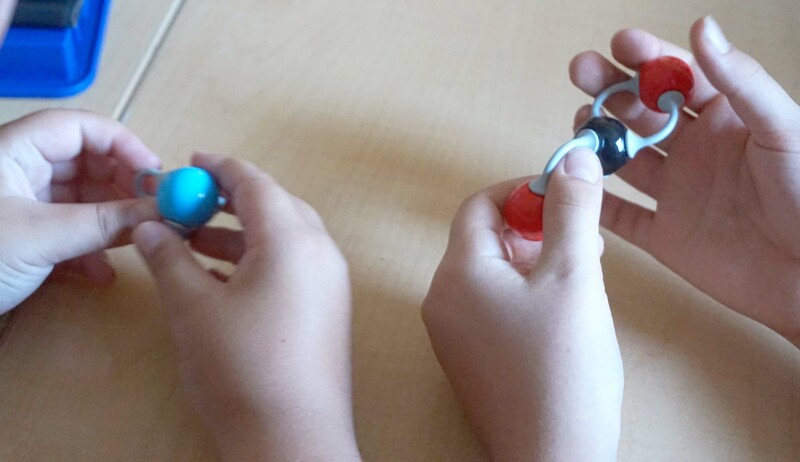 The Upper Elementary students examine molecular models during a Science & Sound session. As the children learn more about sound waves, they are creating a base of knowledge to explore our world through sound. “What does the universe sound like,” he asks. On the first week of the school year, he explored that question with students by playing for them an acoustic model of the Big Bang, which transposes universal waves of the early universe up 50 octaves into human hearing range and condenses the first million years of universal expansion to just 10 seconds. Mr. Jeremy demonstrates a transverse wave during the Science & Sound session for Lower Elementary. 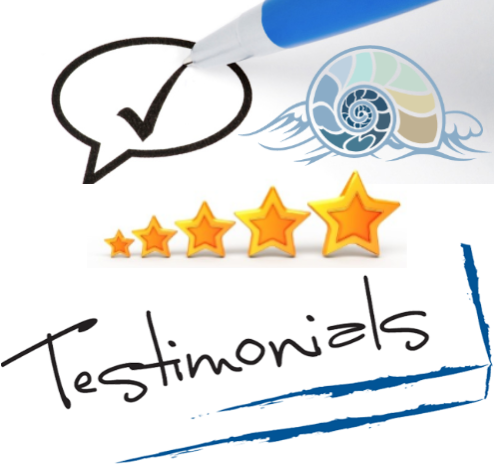 Mr. Jeremy grew up as a classically trained musician, starting piano at age 6 and then moving into other instruments. His degree in chemistry led to recognition for his work as an undergraduate by the Sanibel Symposium on Quantum Biochemistry and a job managing a protein biochemistry lab doing Alzheimer’s research at Mayo Clinic. Music, however, has continued to play a dominant role in his life. He’s the resident sound curator at Yellow House, next to the CoRK Arts District, and he’s composing with the surviving members of Jean-Michel Basquiat's band, Gray. As Mr. Jeremy told the Lower Elementary class during their Science & Sound session, “Everything vibrates.” Your body. Your shirt. Everything. Mr. Jeremy talks with a group of Lower Elementary students before his Science & Sound demonstration. He wants to send the students out into the classroom and into the world to hunt for sounds to analyze and to use to create their own music. To do this, though, he needs iPads for the students to use to record the sounds. After they record their sounds, they can then use the iOS apps, such as Soundbow, Garage Band and Fieldscaper, to create their own music. If you would like to donate a used iPad, please drop it off at the office, or you can donate money through a tax-deductible donation to the Montessori Tides Children’s Foundation. The iPads also will be used for classroom research projects when not being used for the Science & Sound program.